Live life by YOUR design. We each came here for a purpose—What's yours? You're here in a body on earth at this time in history for a reason. We all came here with things we wanted to experience, things we wanted to do. To Serve. To Love. To share Wisdom. To BE Peace. "Why am I here?" That's one of those questions people have been asking forever. Many people believe that we chose our life path before we were born. They believe we made a contract with Source (or God, or The Universe, or Great Spirit, or The Field—whatever you want to call that energy that we all originate from) and with collective humanity to come to this earth plane at a specific time, in a specific body, to a specific family, for a specific mission. And then we forgot. We spend the rest of our lives trying to remember Who We Really Are and what our Life Purpose is. If only we knew what we were supposed to be doing! If only we understood why we have the challenges we have—over and over and over. We didn't bring a copy of our contract with us.....or did we? Let me introduce you to your contract. 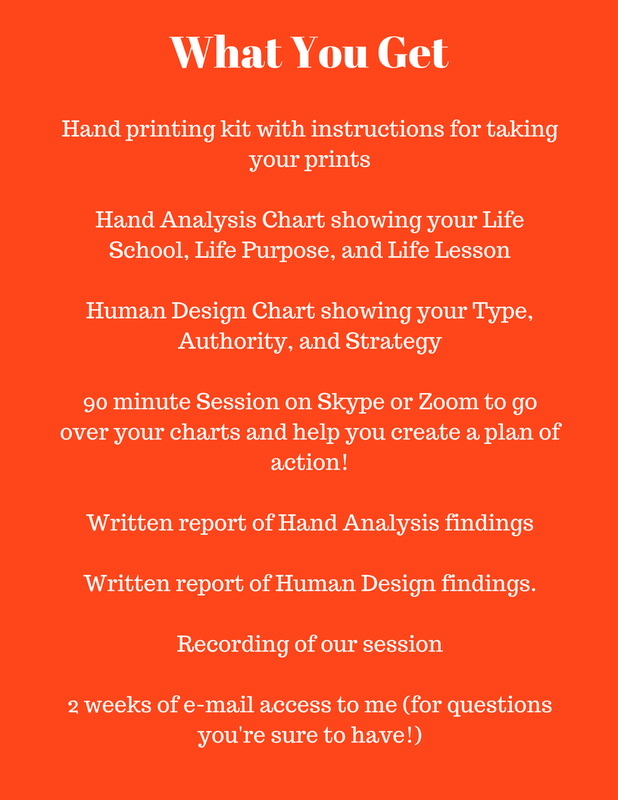 Scientific Hand Analysis is a system of analyzing fingerprints and markings in the palm that can tell you your Life School, Life Lesson, and Life Purpose. Created by Richard Unger, he's spent years cataloging and analyzing thousands of prints. 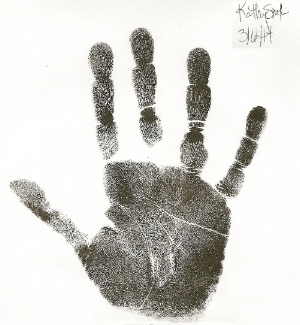 Your fingerprints form at 14-16 weeks gestation and they never change. The markings in your palms are a map of the neurological pathways in your brain and they do change throughout your lifetime. Gift markings come and go. Human Design is a relatively new system. Created by Ra Uru Ru in 1976, it is a blend of Western Astrology, I-Ching, and . It's totally fascinating and you could spend years going down rabbit holes, trying to understand everything in your chart—trust me, that's what I've been doing! But I'm going to break it down to the most important pieces for you. Ready to take the next step? This is my baby. This is what I've been training for years to be able to do—to discover my soul purpose and help you discover yours. To know what it is and then to LIVE it. Together, Hand Analysis and Human Design give us a beautiful picture of who we are and what we came here to do. Who we came here to BE and how we can do that with ease and grace.